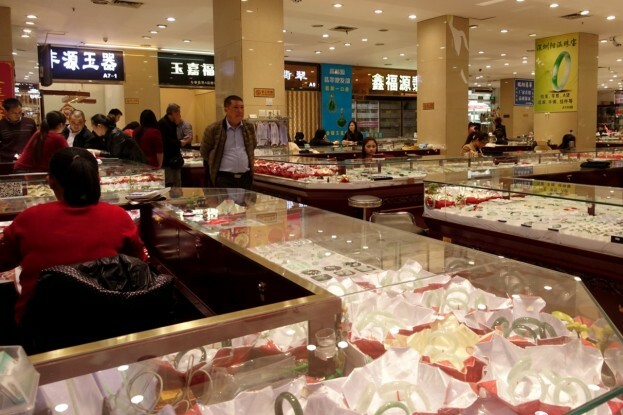 Shenzhen has developed into a jewellery town, housing more then 800 trinket manufacturing industrial avenues. 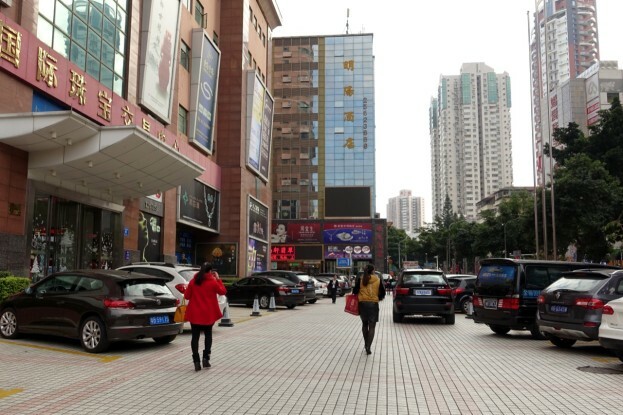 Jewelry City in Shuibei (Chinese: 水贝; pinyin: Shuìbèi) Shenzhen, situated within the Shuibei neighborhood of the Luohu Industrial area, has long been a producing, processing & accumulating center for the jewelry industry in Shenzhen. 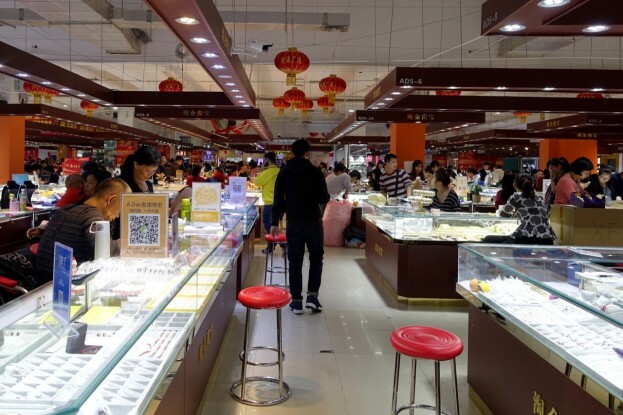 The government of Shenzhen & Luohu District have invested the amount of 190 millions to push the area the biggest jewelry industry center in China. Shenzhen area is said to produce 80% of all the jewellery in China. 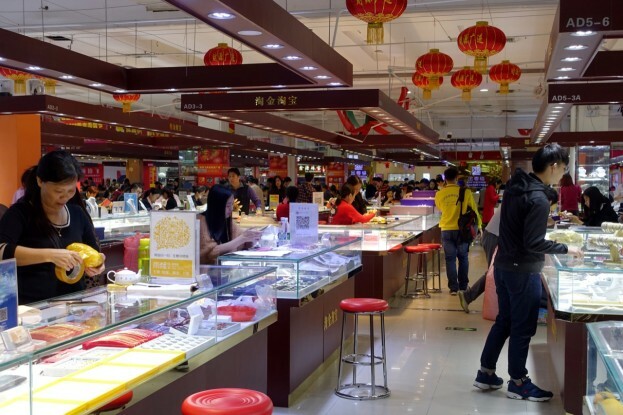 One difference standing out between the jewelry market and the electronic market, is the explicit care put into the mall environment at the jewelry market. 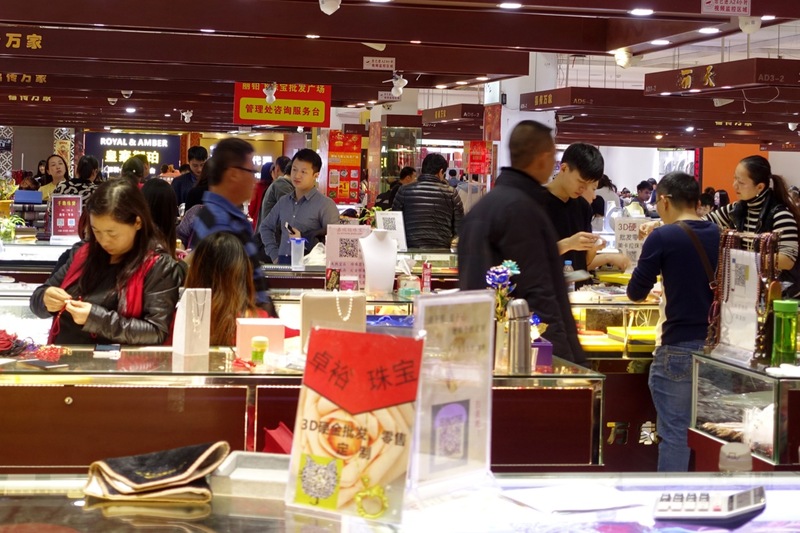 The presentation areas are well taken care of and decorated according with the season. 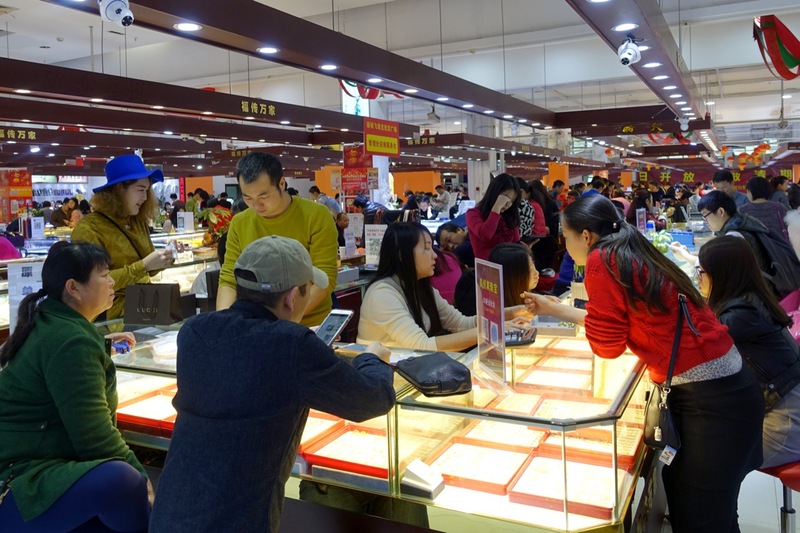 Also, there seemed to be more customers present to investigate the goods on offer in person.